Happy Monday! This week there are lots of cases to report. Today’s notable decision is out of the Sixth Circuit Court of Appeals, Godmar v. Hewlett-Packard Co., No. 15-1480, __Fed.Appx.___, 2015 WL 8290186 (6th Cir. Dec. 9, 2015). The court found that the administrator abused its discretion in denying Godmar’s claim for long-term disability benefits because it selectively reviewed the record and improperly dismissed pain symptoms as subjective (the Plan contains an objective medical evidence requirement). In denying the claim, Sedgwick relied on three consulting physicians who did not examine Godmar in person. The court found that Sedgwick decided Godmar’s pain was subjective without examining him, and that failure weighs in favor of a determination that the denial of his claim was arbitrary and capricious. My favorite line from the case is a statement of the obvious: “File reviews are particularly troubling when the administrator’s consulting physicians-who have never met the claimant-discount the claimant’s limitations as subjective or exaggerated.” Making a decision based only on a paper review is problematic because reviewing someone on paper can never take the place of an in-person evaluation. Notwithstanding that more and more courts are reviewing pure paper reviews with skepticism, there are a number of courts (as noted below) that are happy to uphold a claim denial based on such reviews. Enjoy this week’s case summaries! 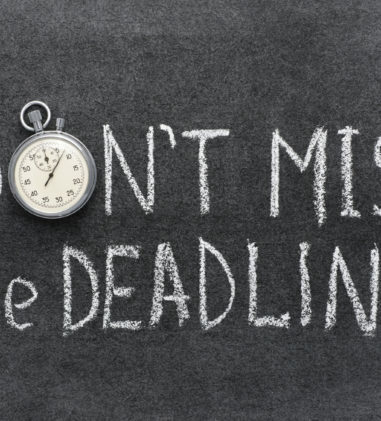 Counterclaims alleging breach of fiduciary duty against trustees for bringing lawsuit against Fund are dismissed as not ripe for adjudication; breach of contract claim related to disclosure of allegedly privileged memo is preempted by ERISA. Wilhelm v. Beasley, No. 15CV4029LAKJLC, __F.Supp.3d___, 2015 WL 8035967 (S.D.N.Y. Dec. 7, 2015) (Judge James L. Cott). This lawsuit involves a challenge by 11 trustees of the National Retirement Fund (the “Fund”) to the Fund’s decision to expel certain contributing employers-specifically subsidiaries of Caesars Entertainment Corporation (“Caesars”). Defendants counterclaim alleging that the trustees breached their fiduciary duty, violated the Fund’s confidentiality provision by which they were contractually bound, and caused the Fund to engage in a prohibited transaction pursuant to ERISA by: (1) the filing of the underlying action; (2) the filing of the action originally in Nevada; (3) the disclosure of an allegedly privileged document during the course of litigation; and (4) the request for injunctive relief enjoining the Fund from serving on the Unsecured Creditors’ Committee in a related bankruptcy proceeding involving Caesars. The court granted the Plaintiffs/CounterclaimDefendants’ motion to dismiss the counterclaims. The court found that the counterclaims contingent on the outcome of the underlying litigation are not ripe for adjudication. With respect to the claims related to the act of filing this lawsuit, the court found that initiation of this lawsuit does not constitute a breach of fiduciary duty. 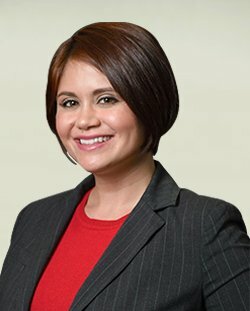 The court also found that the prohibited transaction claim is not ripe for adjudication since whether initiating this suit amounts to using the Fund’s assets to benefit a party in interest or engaging in actions adverse to the Fund will depend on the outcome of the underlying litigation. Similarly, with respect to the trustees seeking to enjoin the Fund from serving on the Committee, requesting such relief does not amount to a breach of fiduciary duty. The court also found not ripe for adjudication the issue of whether the filing of an allegedly privileged Memorandum that Ceasars could access and use to the Fund’s detriment in bankruptcy proceedings is a breach of fiduciary duty. The court found that ERISA preempts the breach of contract claim based on the Memorandum’s disclosure. Government sponsored health plans are exempted from ERISA regulation and anti-assignment language did not operate to strip healthcare provider of standing to sue. Semente v. Empire Healthchoice Assurance, Inc., No. 14CV5823DRHSIL, __F.Supp.3d___, 2015 WL 7953939 (E.D.N.Y. Dec. 4, 2015) (Judge Hurley). Chiropractic provider brought suit against Defendants to recover money allegedly wrongfully withheld by Empire Blue Cross Blue Shield and the health plans it administers for Verizon and Suffolk employees. Count II asserts claims for breach of the Employee Medical Health Plan (“EMH Plan”) administered by Empire and sponsored by Suffolk as well as for violations of 29 C.F.R. § 2560.503-1. Suffolk moved to dismiss for lack of standing and for failure to state a claim. The court granted in part and denied in part Suffolk’s motion. The court found that the ERISA claim stems from Plaintiff’s assertion that the Patient Protection and Affordable Care Act (“PPACA”) incorporated the ERISA claims procedures set forth at 29 C.F.R. § 2560.503-1. The court found that government sponsored health plans are specifically exempted from application of the Regulation under 29 U.S.C. § 1003(b) (providing that “[t]he provisions of this subchapter shall not apply to any employee benefit plan if such plan is a government plan”). Because the EMH Plan is government-sponsored, it is not covered by the Regulation, and the court dismissed Count II with prejudice. With respect to Defendants’ argument that the alleged assignments Plaintiff proffers from his patients are ineffective to confer standing, the court explained that under New York law an assignment is valid even where an agreement generally prohibits assignment, unless the agreement specifies that an assignment would be invalid or void. Here, the court declined to dismiss Plaintiff’s claim on the basis of the anti-assignment language in the EMH Plan Booklet since the language does not state that any assignments would be “void.” However, the court ordered the parties to brief whether or not the court should retain supplemental jurisdiction over the state law claims against Suffolk since it dismissed the federal claims. Catholic Health Initiatives Retirement Plan is a church plan exempt from ERISA’s requirements. Medina v. Catholic Health Initiatives, No. 13-CV-01249-REB-KLM, __F.Supp.3d___, 2015 WL 8144956 (D. Colo. Dec. 8, 2015) (Judge Robert E. Blackburn). Plaintiff, a former employee of Catholic Health Initiatives (“CHI”), brought a putative class action against CHI and the members of its Board of Stewardship Trustees and Human Resources Committee. 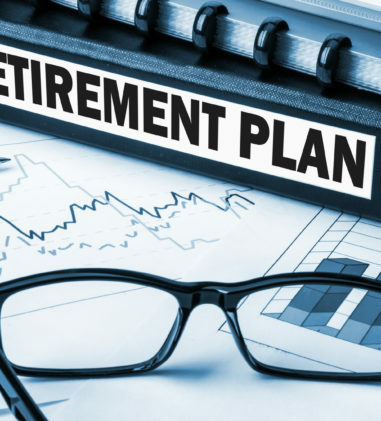 CHI offers employees retirement benefits through a defined benefit pension plan, the Catholic Health Initiatives Retirement Plan (the “CHI Plan”), which was established to qualify as a “church plan” and it has been recognized as such by the IRS since 2002. Plaintiff challenges the CHI Plan’s status as a church plan exempt from the requirements of ERISA. The court concluded that the CHI Plan is properly classified as a church plan and is entitled to the benefit of the ERISA exemption for such plans. The court rejected Plaintiff’s suggestion that the plain meaning of “church” is simply “a house of worship.” Instead the court found that under a more resonant definition of church as “where such people gather to express, in word or deed, the principles and mission of their faith, they are the church,” CHI is, at the very least, a constituent part of the Catholic Church. The court found unremarkable that CHI and the Catholic Health Care Federation (“CHFC”) are separate legal entities since there is a substantial overlap in the membership of the board of directors and the officers of both CHCF and CHI. The court also found that the DB Plan Subcommittee is plainly associated with the Catholic Church under 29 U.S.C. Section 1002(33)(c)(iv). The court found no requirement under ERISA that all entities covered by a church plan be associated with or controlled by a single church. The court rejected Plaintiff’s argument that recognition of the church plan exemption in this instance violates the First Amendment’s Establishment Clause. Employer defending delinquent contribution suit failed to satisfy criteria for additional time to conduct discovery under FRCP 56(d). Serv. Employees Int’l Union Nat’l Indus. Pension Fund, et al. v. Castle Hill Health Care Providers, LLC, et al., No. 14-CV-00334 (APM), 2015 WL 8023909 (D.D.C. Dec. 4, 2015) (Judge Amit P. Mehta). In suit seeking delinquent contribution payments to the pension fund and provide remittance reports, the court denied Defendants’ request for additional time to conduct discovery under Rule 56(d) and entered judgment in Plaintiffs’ favor. The court found that Plaintiffs provided sufficient evidence establishing the amounts of the unpaid and late contributions, interest, and liquidated damages. Defendants’ claimed that they lack sufficient information to respond to Plaintiffs’ factual contentions but the declaration supporting the Rule 56(d) request did not satisfy all three criteria articulated in Convertino v. DOJ, 684 F.3d 93 (D.C. Cir. 2012) (Convertino criteria). First, Defendants made no effort to explain why they could not produce facts to oppose summary judgment. Indeed, for three months before Plaintiffs filed their motion, another judge issued an order directing the parties to meet and confer in order to initiate the discovery process but they did not. Second, Defendants did not outline the facts they intend to discovery or describe why such facts are necessary to the litigation. Defendants complain that Plaintiffs fail to specify the months for which Defendants were delinquent in making contributions and claim that they need discovery but Plaintiffs’ summary spreadsheet shows precisely for which months in which years Defendants were delinquent in making contribution payments to each facility. Defendants did not explain why the spreadsheet is “meaningless” or what facts they hope to obtain to dispute Plaintiff’s calculations. And last, Defendants did not demonstrate that the information they seek is in fact discoverable. The court found it unclear why Defendants do not already possess the records needed to determine what, if any, amounts are actually owed to Plaintiffs. Attorneys’ fees, costs, and 6% prejudgment interest awarded on remand to Plaintiff successful at Sixth Circuit. Raymond Shaw, Plaintiff, v. AT&T Umbrella Benefit Plan No. 1, Defendant., No. 13-CV-11461, 2015 WL 8177654 (E.D. Mich. Dec. 8, 2015) (Judge Judith E. Levy). Following remand from the Sixth Circuit ordering the district court to award long-term disability benefits to Plaintiff, the court granted in part Plaintiff’s motion for benefits, interest, costs, and attorney fees. The court ordered Defendant to pay plaintiff $35,412.72 in benefits, 6% pre-judgment interest, $855 in costs, and $90,341.50 in attorneys’ fees. 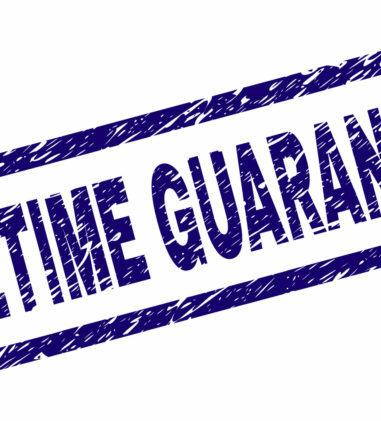 The attorneys’ fees rates awarded were $285/hour and $250/hour, respectively, for work performed by a solo attorney who was undisputedly “an experienced and well-qualified attorney” with over twenty years’ experience and $250/hour for a small firm attorney with over sixteen years’ experience. The court based these rates using a State Bar of Michigan, Economics of Law Practice publication which showed that attorneys’ fees in Ann Arbor ranged from $330-$450/hour for plaintiff’s-side employment law. An ERISA fiduciary is a fiduciary for Bankruptcy Code § 523(a)(4) purposes. In re Kern, No. 13-71700-AST, 2015 WL 8481574 (Bankr. E.D.N.Y. Dec. 10, 2015) (Bankruptcy Judge Alan S. Trust). 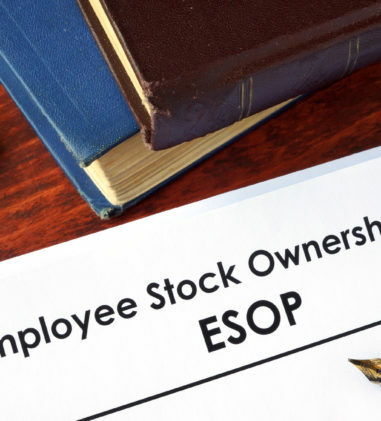 In this case, Plaintiffs are ERISA benefit funds and the Debtor was the principal owner and control person of a closely held company which employed persons who were entitled to have contributions made on their behalf to the Benefit Funds. The court considered whether $1,369,803.98 of unpaid contributions due to these Benefit Funds are non-dischargeable debts pursuant to § 523(a)(4) of the Bankruptcy Code. The court held that because ERISA is a federal law and fiduciary status and defalcation under the Bankruptcy Code are also determinations made under federal law, an ERISA fiduciary is a fiduciary for § 523(a)(4) purposes. In this case, the Debtor meets the functional test under ERISA and is therefore a fiduciary for purposes of § 523(a)(4) because the Debtor: (1) determined whether or not CSI made timely contributions to the Benefits Funds; (2) exercised authority, control and management over the disposition of assets of CSI and had decision making authority with respect to whether or not to pay the obligations of CSI; (3) had decision making authority with respect to whether or not to pay the obligations of CSI; and (4) decided which accounts payable were to be paid by CSI. Breach of fiduciary duty and disgorgement claims dismissed where LTD claim for benefits provides an adequate remedy. Hilbert v. The Lincoln National Life Insurance Company, No. 1:15-CV-0471, 2015 WL 8150418 (M.D. Pa. Dec. 8, 2015) (Judge Sylvia H. Rambo). Plaintiff claimed that Lincoln National wrongfully denied her long term disability benefits and, in doing so, breached its fiduciary duties. Plaintiff provided the following 8 bases upon which she asserts Defendant breached its fiduciary duties: 1) establishing a claims process in which its claims personnel systematically delay claims decisions; 2) establishing a claims process in which its claims personnel automatically accept the opinions of its paid medical reviewers; 3) establishing a claims process in which its claims personnel do not seek to reach an accurate decision, but instead only seek to render a reasonable decision; 4) establishing a claims process in which it places financial interests ahead of the participants and beneficiaries; 5) establishing a claims process in which it does not consult with health care professionals with appropriate training and experience; 6) establishing a claims process that requires two levels of appeal, but fails to render decisions within the timelines mandated by ERISA; 7) establishing a claims process that does not accurately apply the plan terms as written, but alters and adds terms for its own benefit; and 8) establishing a claims process in which it does not seek independent and unbiased medical opinions, but instead seeks opinions favorable to its own financial interests. Defendant moved for judgment on the pleadings with respect to Plaintiff’s breach of fiduciary duty and disgorgement claims. The court concluded that Plaintiff is limited to a denial of benefits claim under § 1132(a)(1)(b), and granted Defendant’s motion in its entirety. The court relied on Varity Corp. v. Howe, 516 U.S. 489 (1996) for the proposition that if a plaintiff is seeking a remedy under the terms of a plan, Section 1132(a)(1)(B) is the exclusive vehicle for bringing claims for breaches of fiduciary duty with respect to the interpretation of plan documents and the payment of claims. Because Plaintiff did not allege that she suffered any additional injury (besides the lost benefits), Section 1132(a)(1)(B) provides her with adequate relief and there is no need for further equitable relief as any potential fiduciary breach can be fully remedied by an award of benefits. Denial of LTD benefits not an abuse of discretion where administrator relied on three reviewing doctors and surveillance to support its claim decision. Smith-Emerson v. Liberty Life Assurance Co. of Boston, No. 14-CV-120-PB, 2015 WL 8483293 (D.N.H. Dec. 9, 2015) (Judge Paul Barbadoro). After being struck in the head with a soccer ball, Plaintiff experienced ongoing neck pain and other complications for which she saw a myriad of doctors to treat her pain. Liberty Life paid her short-term disability benefits but did not approve her claim for long-term disability benefits. In reviewing Liberty Life’s decision under an abuse of discretion standard of review, the court found that Liberty Life’s decision was supported by an array of medical and non-medical evidence. This evidence included paper reviews from Dr. Philipp Chemaly, Dr. David Monti, and Dr. Steven Lobel, who each concluded that she was capable of working a full-time sedentary or light-duty job. Further, five of Plaintiff’s own treating providers concluded, at various times, that Plaintiff was capable of performing either a sedentary or light-duty job and only one doctor concluded that Plaintiff was entirely disabled and incapable of working, and he reached this conclusion without reviewing the surveillance videos. The court found that the surveillance videos reinforce the conclusion that Plaintiff is capable of working a sedentary or light-duty job. The surveillance shows Plaintiff gardening, walking on a treadmill, shopping, and carrying bags, among other activities. Plaintiff did not address the wide discrepancies between her reported activity -spending “most of the day in bed” with debilitating pain – and the surveillance showing her leading a generally active lifestyle. The court found that at a minimum, the videos lend support to Liberty Life’s conclusion that Plaintiff could perform a job that requires mostly sitting, typing, and answering the phone. De novo review applies where discretionary language is contained only in SPD and not Plan documents. The Estate of Kim Bochniarz v. Prudential Insurance Company of America, No. 1:11-CV-0867EAW, 2015 WL 8516432 (W.D.N.Y. Dec. 11, 2015) (Judge Elizabeth A. Wolford). The court adopted the magistrate judge’s recommendation that the de novo standard of review apply to Prudential’s denial of Plaintiff’s long-term disability benefits claim and premium waiver for group life insurance coverage. 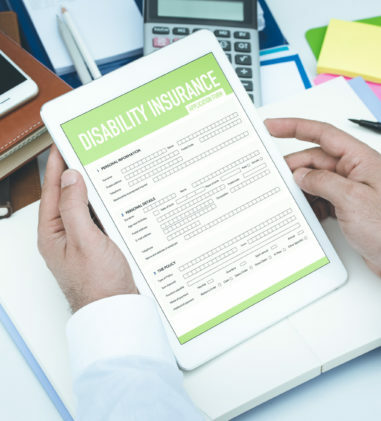 Here, the parties disagree as to whether the Sunbelt Beverage Company, LLC Long Term Disability Coverage Plan gave Defendant, as the plan administrator, discretionary authority to determine when a covered individual was disabled. The only document containing language concerning discretionary authority is the Summary Plan Description. The documents comprising the Plan (including the Plan Contract and the Group Insurance Certificate) are silent on this point. The court expressed disappointment that Prudential did not disclose a case where the arguments it put forward in support of its motion were rejected in Hamill v. Prudential Ins. Co. of America, No. ll-cv-1464 (SLT)(CLP), 2013 WL 27548 (E.D.N.Y. Jan. 2, 2013), a matter involving its current counsel. In Hammill, the court held that a conflict existed between the SPD and the formal plan documents and that, pursuant to Amara, the plan documents controlled. Standard did not abuse discretion denying LTD claim where there was no evidence supporting disability as of the date claimed. Connelly v. Standard Ins. Co. of Am., No. 5:14CV1635, 2015 WL 8483132 (N.D. Ohio Dec. 10, 2015) (Judge John R. Adams). 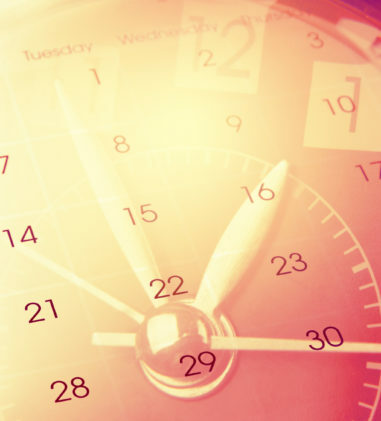 The court found that Standard did not err in denying Plaintiff’s claim for disability benefits where the Social Security Administration found a date of disability later than the date claimed by Plaintiff. Standard’s reviewing doctors concluded that the record was void of any evidence of disability in the month that Plaintiff stopped working and lost coverage under the disability policy. 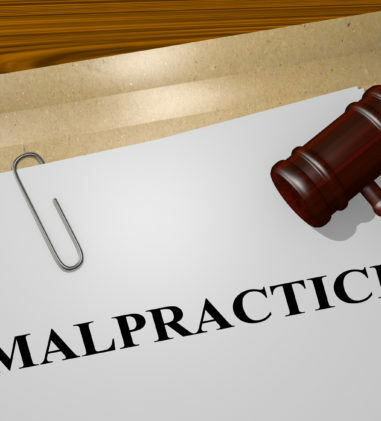 Although Plaintiff’s treating doctors gave statements that they recommended Plaintiff stop work, there was no evidence of these recommendations in the contemporaneous treatment records. Abuse of discretion to deny disability benefits where administrator, without a medical examination, determined that claimant’s pain symptoms were not objective evidence of disability. Godmar v. Hewlett-Packard Co., No. 15-1480, __Fed.Appx.___, 2015 WL 8290186 (6th Cir. Dec. 9, 2015) (Before DAUGHTREY, COOK, and WHITE, Circuit Judges). Godmar involves abuse of discretion review of an ERISA plan administrator’s denial of disability benefits. The Sixth Circuit found that Sedgwick, the claims administrator, abused its discretion by selectively reviewing the record and improperly dismissing Godmar’s pain symptoms as subjective. Three of Godmar’s treating doctors informed Sedgwick that Godmar could not perform his job and corroborated Godmar’s significant pain complaints. Sedgwick determined that their reports were not credible and relied on three consulting physicians. The court explained that, “[f]ile reviews are particularly troubling when the administrator’s consulting physicians-who have never met the claimant-discount the claimant’s limitations as subjective or exaggerated.” The court found that Sedgwick decided Godmar’s pain was subjective without examining him, and that failure weighs in favor of a determination that the denial of his claim was arbitrary and capricious. The court further found that the consulting physicians did not respond to Godmar’s claim that he was disabled by the side effects of medication prescribed to treat his chronic pain. The court did not agree with Godmar on the issue of whether Sedgwick needed to show improvement in order to terminate his benefits since it had only approved his claim for one month. LTD claim remanded to Hartford to consider functional capacity evaluation submitted after it issued a final denial. McKenna v. Hartford Life & Accident Insurance Co., No. CV 14-3257 (MJD/LIB), 2015 WL 8483275 (D. Minn. Dec. 9, 2015) (Judge Michael J. Davis). Here, Hartford denied Plaintiff’s LTD claim because it argued that Plaintiff was required, but failed, to submit objective evidence of the extent of her limitations. Hartford explained to the court that one method of objective proof of disability, for instance, is a functional capacity evaluation but when it terminated Plaintiff’s benefits in August 2013, it told her that its independent reviewing physician had concluded “that there are no objective clinical physical exam findings to support any restrictions or limitations.” Hartford did not mention that an FCE was necessary, although the only physician who examined her and concluded that she might be able to return to work without substantial restrictions had opined that an additional FCE was necessary to fully assess her capabilities. While unrepresented by an attorney, Plaintiff submitted her own administrative appeal and described how fibromyalgia affects and limits her life and also provided a supportive letter from her doctor. The court concluded that from a layperson’s point of view, neither the initial nor the final termination letter clearly identified what type of objective evidence would be sufficient beyond what Plaintiff had already submitted. Further, Hartford did not put Plaintiff on notice of the type of evidence she needed to provide with her appeal and she did not know Hartford was seeking evidence such as an FCE until after her appeal was denied and she was represented by counsel. The court concluded that Plaintiff has shown good cause for failing to obtain and submit her late-produced FCE before Hartford closed the administrative record and ordered Hartford to consider the FCE along with the rest of the administrative record, before making its final benefits determination. The court remanded the matter to Hartford to evaluate the FCE and consider the expanded record before issuing its claim decision. On de novo review, Liberty Life erred in its termination of LTD benefits which it based, in part, on surveillance. Bigham v. Liberty Life Assurance Company of Boston, No. C15-349RSM, 2015 WL 8489417 (W.D. Wash. Dec. 11, 2015) (Judge Ricardo S. Martinez). On de novo review of Liberty Life’s decision to terminated Plaintiff’s LTD claim, the court ruled under Rule 52 in favor of Plaintiff. 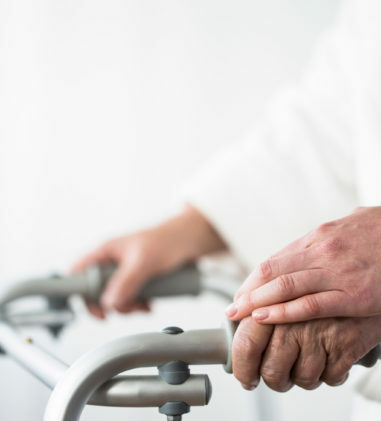 Here, Plaintiff argued that she is disabled under the terms of the LTD Plan due to “chronic intractable pain, fibromyalgia, seronegative spondyloarthropathy, cervical and lumbar degenerative disc disease,” and related conditions. Liberty Life argued that medical evidence and post-diagnosis surveillance do not establish that Plaintiff is disabled or otherwise unable to perform her own occupation. The court concluded otherwise and remanded to Liberty Life the issue of extending benefits beyond the 24-month period prescribed for “own occupation” benefits. Specifically, the court found that Plaintiff’s job required her to be able to focus her thoughts and interact with others for long periods of time on a daily basis and doctors who personally examined her concluded that her condition made it impossible to for her to reliably perform this essential job function. The court found that subjective evidence has been found in previous cases to be valuable evidence for a disability claim. Liberty Life argued that surveillance showed Plaintiff standing and walking for a total of 42 minutes without any sign of discomfort, let alone chronic and disabling pain. It further argued that Plaintiff did not bend carefully or walk gingerly, grimace or limp. With respect to surveillance, the court found that it neither proves nor disproves Plaintiff’s limitations and nothing on surveillance is inconsistent with Plaintiff’s self-reports. Termination of LTD benefits not an abuse of discretion where in-person and reviewing physicians concluded that Plaintiff could perform normal job and employer confirmed restrictions fell within normal job duties. Cruz-Baca v. Edison Int’l Long Term Disability Plan, No. 214CV07887JFWMANX, 2015 WL 8490898 (C.D. Cal. Dec. 9, 2015) (Judge John F. Walter). The court found that the Plan (administered by Sedgwick) did not abuse its discretion in finding that Plaintiff was no longer disabled from performing her normal job as a Customer Specialist 2. Sedgwick had Plaintiff evaluated in person by an independent doctor, Dr. Saleem Waraich, who concluded that Plaintiff was unable to fulfill the substantial and material duties of her usual occupation but that she should be reassessed in one year because her condition could be controlled by new medication which would take at least six months to show its full effects. Sedgwick later had Plaintiff evaluated in person again but by Dr. Ramachandran Srinivasan, who concluded that Plaintiff could perform her normal job. On appeal, Sedgwick had three reviewing physicians review Plaintiff’s medical records, including Rajendra K. Marwah, M.D., Mark Borigini, M.D., and Dennis Payne, Jr., M.D. The restrictions recommended by Dr. Borigini and Dr. Payne were presented to Plaintiff’s work location for review and consideration and Sedgwick determined that the restrictions fell within Plaintiff’s normal job duties as a Customer Specialist 2 without any accommodations needed. Although Plaintiff had been approved for Social Security disability benefits, Sedgwick acknowledged that it had not been informed of the basis for her approval of SSDI benefits, but noted that it was likely based on a different standard of benefit eligibility than the standards under the Plan, and that there may have been additional underlying medical information submitted in the SSDI process that was not submitted to the Plan, or may have had relatively less rigorous case management than Plaintiff’s LTD file. Aetna did not abuse its discretion in terminating long-term disability benefits claim. Yaakoubi v. Aetna Life Ins. Company, et al., No. CV-14-01808-PHX-NVW, 2015 WL 8479059 (D. Ariz. Dec. 9, 2015) (Judge Neil V. Wake). The court found in favor of Aetna on Plaintiff’s motion for judgment on the administrative record requesting review of Aetna’s denial of her long-term disability benefits. Viewing the evidence of bias in the light most favorable to Plaintiff, the court found that the evidence does not show that Aetna’s conflict of interest improperly influenced its decision to terminate Plaintiff’s long-term disability benefits. The court found that the record supports Aetna’s determination that Plaintiff could perform “light” work with limited standing and walking and that “reasonable occupations” that Plaintiff was capable of performing existed as of the benefit termination date. Administrator abused its discretion by determining there was a reasonable job that the disability claimant could perform that was within the proper zone as required by the terms of the disability plan. Barnett v. S. California Edison Co. Long Term Disability Plan, No. 13-16925, __Fed.Appx.___, 2015 WL 8056622 (9th Cir. Dec. 7, 2015) (Before FERNANDEZ and M. SMITH, Circuit Judges, and SCHEINDLIN,* District Judge). In dispute over denied long-term disability benefits, the Ninth Circuit vacated the district court’s determination in favor of the defendant Plan and remanded for further proceedings. Under the Plan provisions that applied to Plaintiff, “[d]isabled means that, due to illness or injury, you are unable to perform … any reasonable job for the company after two years.” Moreover, “[a] reasonable job is any gainful activity in any job classification for which you are or may reasonably become fitted by education, training, or experience.” And that job must be located “at any company within the zone … in which you were working on your last day at work.” The court did not find improper Defendant’s determination that there was a reasonable job that Plaintiff could perform, however, Defendant abused its discretion when it implicitly determined that the job in question was within the proper zone. Fiduciary exception to attorney-client privilege applies to emails and testimony responsive to Plaintiff’s discovery requests. Haigh vs. Construction Industry and Laborers Joint Pension Trust for Southern Nevead, Plan A and Plan B, et al. No. 2:14-CV-1545-JAD-VCF, 2015 WL 8375150 (D. Nev. Dec. 9, 2015) (Magistrate Judge Cam Ferenbach). Plaintiff brought suit challenging the suspension of his pension benefits. On Plaintiff’s motion to compel, the court considered (1) whether Haigh’s Motion to Compel meets the threshold requirements for a motion to compel, (2) whether the “fiduciary exception” to the attorney-client privilege applies to the contested emails, (3) whether Deponent Danley may be compelled to answer questions regarding legal opinions given during the June 18, 2014 benefits termination meeting, and (4) whether Haigh is entitled to costs and fees associated with bringing the instant motion to compel. The court ruled as follows: (1) Plaintiff’s request seeks information within the scope of discovery under Rule 26 and they are proportional to the needs of the case; (2) the “fiduciary exception” to the attorney-client privilege applies to some of the emails described in the privilege log; (3) the “fiduciary exception” requires Deponent Danley to answer Haigh’s questions regarding legal advice and opinions given during the June 18th benefits termination meeting; (4) and Haigh is not entitled to costs and fees for bringing the motion. Request for special master to oversee corporate representative deposition is denied. United Surgical Assistants, LLC v. Aetna Life Insurance Company & Aetna Health, Inc., No. 8:14-CV-211-T-30JSS, 2015 WL 7777535 (M.D. Fla. Dec. 3, 2015). In a previous order, the court permitted inquiry regarding the following: (1) the exact nature of the information considered by the fiduciary in making the decision; (2) whether the fiduciary was competent to evaluate the information in the administrative record; (3) how the fiduciary reached its decision; (4) whether, given the nature of the information in the record, it was incumbent upon the fiduciary to seek outside technical assistance in reaching a “fair and full review” of the claim; and (5) whether a conflict of interest existed. Defendant moved the court to appoint a special master to preside over the deposition of the Defendant’s corporate representative and to clarify the scope of the deposition. The court denied Defendant’s motion, finding that this case does not present circumstances that would justify court-ordered supervision or intervention, as the facts of the case are relatively straightforward, the legal issues under ERISA are not unusually complex, only a single deposition remains to be taken, and guidance has already been provided by the Court as to the issues raised in Defendant’s Motion. The Federal Rules of Civil Procedure sufficiently outline the process of conducting depositions and Defendant’s request to preemptively limit the topics of examination before the deposition takes place on the basis of the parties’ differing interpretations of the Court’s order is premature. Claim for damages equaling value of ERISA pension plan benefits is not preempted by ERISA. Winter v. United Parcel Service, Inc. Delaware & United Parcel Service, Inc. Ohio, No. 14-10555, 2015 WL 8478460 (E.D. Mich. Dec. 10, 2015) (Judge Arthur J. Tarnow). The court granted Plaintiff’s motion for reconsideration on the court’s previous finding that Plaintiff’s fraudulent and innocent misrepresentation claims were preempted by ERISA. On reconsideration, the court found that Plaintiff’s misrepresentation claims do not necessarily require evaluation of any ERISA plan or the parties’ performance under it. Instead, Plaintiff’s misrepresentation claims seem analogous to the breach of contract claim in Marks v. Newcourt Credit Group, Inc., 342 F.3d 444 (6th Cir. 2003), which was held to refer to an ERISA plan only to ascertain damages. The court reconsidered its prior holding that Plaintiff’s claim for damages equaling the benefits he would have received under the UPS/IBT Full-Time Pension Plan is preempted by ERISA and they are not preempted by ERISA to the extent he seeks to recover the value of benefits relinquished in reliance on Defendants’ alleged misrepresentations, including (but not limited to) the value of lost benefits under the pension plan. Suit by hospitals against benefit plans is not preempted by ERISA and matter remanded to state court. The Nebraska Methodist Hospital, et al. vs. State Law Enforcement Bargaining Council Employee Health and Dental Benefit Plan, et al., No. 8:15CV216, 2015 WL 8328158 (D. Neb. Dec. 7, 2015). 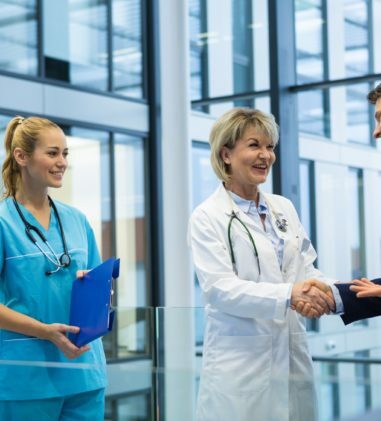 In this case Plaintiffs are hospitals who sued the defendants contending that they entered into a contract with the defendants to pay agreed upon rates for particular goods and services rendered by the hospitals to the plans’ participants. Defendants argued that the claims are completely pre-empted under ERISA, as the case concerns entitlement to benefits and interpretation of certain plan documents. The magistrate judge reviewed the motion and recommended that this case be remanded because the case concerns separate breach of contract and tort claims. The district judge agreed, finding that Plaintiffs’ claims are clearly based on enforcement of their rights under separate contracts not requiring interpretation of any ERISA documents. Although Defendants’ argument is without merit, the court did not believe it so far removed as to impose sanctions. Partial denial of life insurance benefits not arbitrary and capricious where insured did not submit required evidence of insurability form that was a condition precedent for excess coverage. Van Loo v. Cajun Operating Co., et al., No. 14-CV-10604, 2015 WL 7889034 (E.D. Mich. Dec. 4, 2015) (Judge Laurie J. Michelson). Plaintiffs filed this lawsuit after Defendant Reliance Standard Life Insurance Company partially denied their claim for life insurance benefits following the death of their daughter, Donna Van Loo. Donna was an employee of Defendant Cajun Operating Company d/b/a/ Church’s Chicken and purchased life insurance coverage through Church’s, which held a Reliance policy, and named her parents as beneficiaries. Because Van Loo never submitted proof of good health, Reliance determined that Plaintiffs cannot recover life insurance benefits in excess of $300,000. The court granted Reliance’s motion for judgment on the administrative record, finding that its decision to deny Plaintiffs’ claim for benefits was not arbitrary and capricious. The information in the Administrative Record indicated that Van Loo was mailed an evidence of insurability form (“EIF”) by Reliance in 2010, but never returned it to Church’s or Reliance. The court found that Reliance’s structural conflict did not influence its conduct-before 2010, it was Church’s responsibility to mail EIFs to insureds, and the Administrative Record indicates that once Reliance took responsibility for this task, it did mail the form to Van Loo. Moreover, the court found that Reliance’s interpretation of a disputed Policy provision was the only reasonable interpretation of the unambiguous Policy language and declined to apply the principle of contra proferentum. The court rejected Plaintiffs’ argument that the incontestability clause prevents Reliance from disputing the Policy’s effectiveness since coverage never became effective in the first place. The court also found that Reliance did not waive its ability to assert the lack of an EIF in its decision to deny coverage despite the fact that it had accepted life insurance premiums from the insured for six years. Contraceptive mandate does not substantially burden non-religious pro-life organization’s freedom of religion. Real Alternatives, Inc. v. Burwell, No. 1:15-CV-0105, 2015 WL 8481987 (M.D. Pa. Dec. 10, 2015) (Judge John E. Jones III). Plaintiff Real Alternatives is a non-profit, non-religious, pro-life organization that has excluded contraceptive care from its health insurance plan. The plan to which it subscribed was cancelled by its insurance provider and it alleges that the ACA’s Contraceptive Mandate caused its insurer to no longer be willing to omit contraceptive care from coverage. Real Alternatives sought a judgment declaring the Contraceptive Mandate and its application to Plaintiffs to be a violation of the Fifth Amendment, the APA and Religious Freedom Restoration Act (“RFRA”). Plaintiffs also sought a permanent injunction ordering Defendants to offer the religious employer exemption to organizations such as Real Alternatives that hire employees who share their beliefs. The court denied Plaintiffs’ motion for summary judgment, finding that their RFRA claim fails. Even if Plaintiffs have standing to bring the claim, they have not alleged a substantial burden to their exercise of religion. Even if they had, the government has articulated a compelling interest in a broadly applicable system of health care, in order to advance public health and gender equality. The court found that Plaintiffs have proposed no less restrictive means to administer that system, but even if a less restrictive means existed, it would substantially hamper the government’s ability to most effectively achieve compelling interests. Section 1132(e)(2) confers personal jurisdiction on the basis of defendant’s national contacts; disgorgement claim dismissed because it’s a remedy not an independent cause of action; ERISA violations claim dismissed where knowledge of wrongful transfer of plan assets not adequately pled. Kalan v. Farmers & Merchants Trust Company of Chambersburg, et al., No. CV 15-1435, 2015 WL 7887893 (E.D. Pa. Dec. 3, 2015) (Judge Wendy Beetlestone). In suit alleging that co-defendants’ payment to SYK, a law firm, improperly transferred ERISA plan assets and that SYK committed legal malpractice and breach of fiduciary duty, SYK moved to dismiss for lack of personal jurisdiction and failure to state a claim. SYK also moved to sever. Although the Third Circuit has not addressed the reach of Section 1132(e)(2), it has held in other contexts that a federal court’s personal jurisdiction may be assessed on the basis of the defendant’s national contacts when the plaintiff’s claim rests on a federal statute authorizing nationwide service of process. Thus, it is reasonable to conclude that in ERISA cases, personal jurisdiction is not limited to a defendant’s contacts with a particular federal judicial district. The court determined that given the Third Circuit’s specific recommendation that a single district judge handle the related litigation, its rulings in other nationwide service of process cases, and SYK’s failure to demonstrate a significant hardship if compelled to litigate in the Eastern District of Pennsylvania, SYK’s motion to dismiss for lack of personal jurisdiction is denied. The court also found that the claims against it are properly joined because they share common questions of law and fact arising from “the Koresko arrangement” and denied the motion to sever. The court dismissed Count IV (disgorgement) since it is a remedy and not an independent cause of action. Plaintiffs contend that SYK is a non-fiduciary alleged to have accepted payments from trust accounts while it had actual or constructive notice that the payments were in breach of Koresko’s fiduciary duties. The court dismissed Count III (ERISA violations) because the allegations fall short of establishing that funds rightfully belonging to an ERISA plan were wrongfully transferred and that SYK had actual or constructive knowledge of the circumstances that rendered the transfer wrongful. Health and dental plans have standing to sue Insurance Commissioner over enforcement of West Virginia Prompt Pay Act. Ohio Valley Health Services & Education Corp. Health Plan, et al. v. Michael D. Riley, et al., No. 5:15CV65, 2015 WL 8494000 (N.D.W. Va. Dec. 10, 2015) (Judge Frederick P. Stamp). Here, health and dental plans filed suit against the West Virginia Insurance Commissioner challenging the West Virginia Prompt Pay Act “the Act”) regarding (a) the requirement to pay claims for medical services within 30 days of submitting a clean claim; (b) imposing 10% prejudgment interest on such claims that remain unpaid; (c) automatically awarding attorney’s fees in an action enforcing the Prompt Pay Act or seeking payment for such claims; and (d) that the Prompt Pay Act creates a private cause of action for non-processing or non-payment of claims within the time limits stated in that Act. In denying the Commissioner’s motion to dismiss, the court found that: 1) Riley and the Insurance Commissioner are proper parties because they are the government officials charged with administering and enforcing the Act; 2) Plaintiffs have standing to sue because they have alleged a judicially cognizable injury caused by the threat of Defendants enforcing the Act. Specifically, Defendants have declined to agree that it does not interpret the Act as applying to ERISA covered plans such as the Plaintiffs. Assignee did not have right to seek equitable relief and lacks standing to seek an injunction. Montefiore Medical Center v. Local 272 Welfare Fund, et al., No. 14-CV-10229 (RA), 2015 WL 8073909 (S.D.N.Y. Dec. 4, 2015) (Judge Ronnie Abrams). Plaintiff, as the assignee of the Fund’s insurance beneficiaries, brought suit against the Fund for payment of urgent care claims under ERISA § 502(a)(l)(B) and § 502(a)(3). Defendants moved to dismiss under Federal Rule of Procedure 12(b)(l) Plaintiff’s second cause of action for equitable relief on the grounds that Montefiore lacks standing to seek equitable relief, or, in the alterative, that equitable relief is not available because monetary damages would fully compensate Montefiore. The court adopted the magistrate judge’s report recommending that the second cause of action be dismissed because the Fund beneficiaries did not assign Montefiore their rights to seek equitable relief, and, as a result, Montefiore lacks standing to seek an injunction. Penalties cannot be assessed against third-party claims administrator. Koch v. Infosys, Ltd., No. C14-1649RSL, 2015 WL 8328067 (W.D. Wash. Dec. 9, 2015). Koch alleged that he is entitled to ERISA penalties because Aetna failed to respond to requests for information. The court explained that ERISA penalties may only be assessed against the plan administrator, as designated in the plan documents. 29 U.S.C. §§ 1002(16)(A), 1132(c)(1). In this case, the plan documents specify that the plan administrator is Infosys. As such, the court held that penalties may not be assessed against Aetna as a third-party claims administrator and granted Aetna’s motion for summary judgment on this claim. The court relied on Sgro v. Danone Waters of N. Am., Inc., 532 F.3d 940, 944-45 (9th Cir. 2008) and Moran v. Aetna Life Ins. Co., 872 F.2d 296, 301 (9th Cir. 1989). 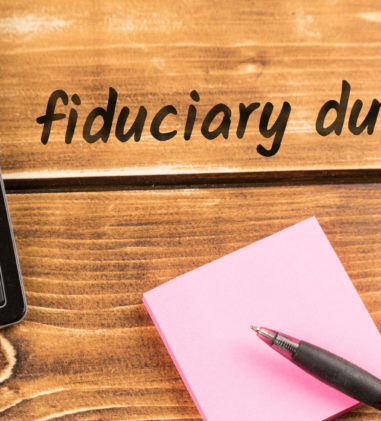 Counterclaim of breach of fiduciary duty based on pursuing subrogation rights dismissed in the absence of factual allegations that fiduciary failed to apply credit to benefit plan members or defray administrative costs. JDA Software Inc., et al., Plaintiffs, v. Sergio Berumen, et al., Defendants., No. CV-14-01565-PHX-DLR, 2015 WL 8003210 (D. Ariz. Dec. 7, 2015) (Judge Douglas L. Rayes). The court granted the Counter-defendants’ motion to dismiss an amended counterclaim alleging that they breached a fiduciary duty owed to defendants\counter-plaintiffs as Plan members by pursuing subrogation/reimbursement rights (1) while intending to misuse subrogation monies and (2) without mitigating damages. The court previously found the fact that JDA is credited with the third party recovery, alone, does not plausibly suggest wrongdoing. The court found that there were no factual allegations suggesting that JDA failed to apply this credit to benefit the Plan members or defray administrative costs, such that the counter-plaintiffs have not alleged a plausible breach of fiduciary duty based on misuse of subrogation monies. The court also found that counter-plaintiffs stop-loss allegations may be asserted as an affirmative defense to the amount of recovery to which counter-defendants might be entitled.